Today is the last day of November and tomorrow we can officially start saying “it’s nearly Christmas!”. There is no better feeling at this time of year than coming home from a bitter dark walk at the end of a sluggish day into a cosy oasis of soft tones and sparkling candles; stepping off a grubby tube and into a magical Christmas house full of warm tree lights and everything that glows. So why not carry that through to your festive dinner party and Christmas Day table to ensure your whole house has the same magical twinkle. As the winter nights have been drawing in and the countdown to Christmas is well and truly on, we have been turning our heads to inspirational ideas and designs. 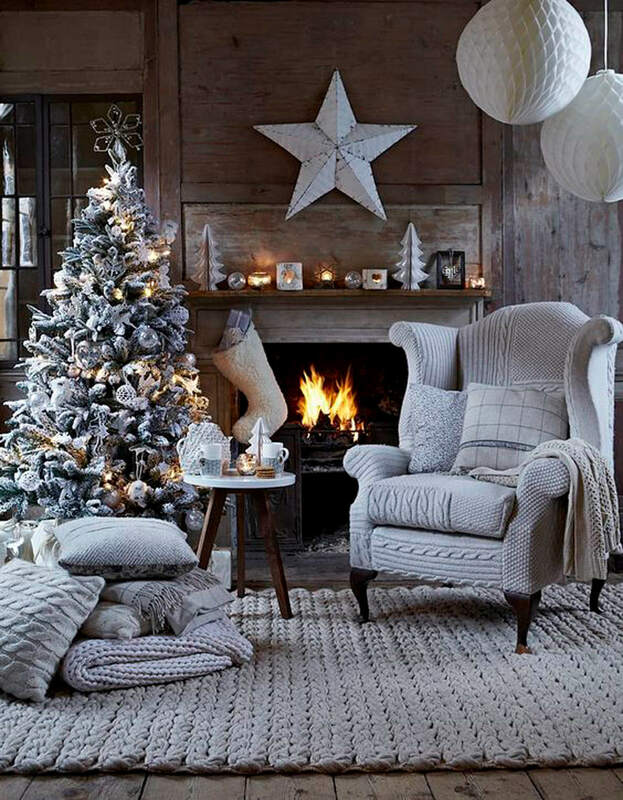 We have collated our favourite tips to make your house a festive home this Christmas…. At Moriarty we love the concept of laying textures and complementary colours. 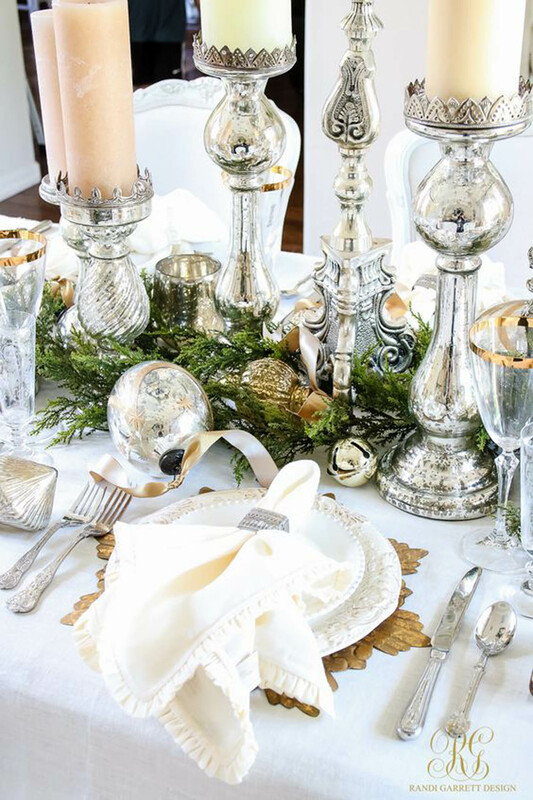 While we love an accent tone, nothing says Christmas like silver and gold. Pairing these with white for a contemporary twist will really enhance your the look. 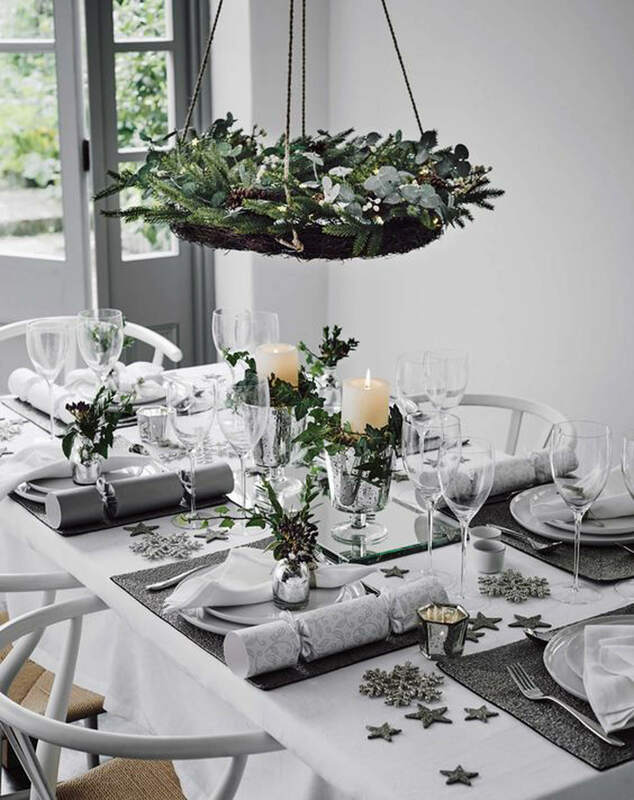 You don't get much more Christmassy than a garland or fir foliage, berries and pinecones as a centrepiece down the middle of the table. 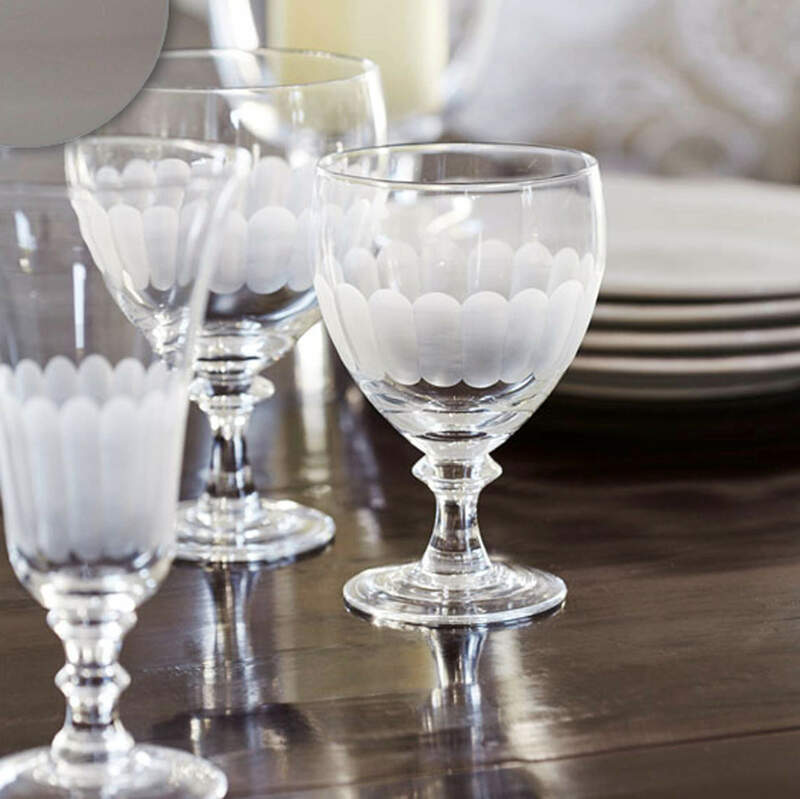 Adding in tea lights and candles like these ones from The White Company, you can add height and depth to the design. 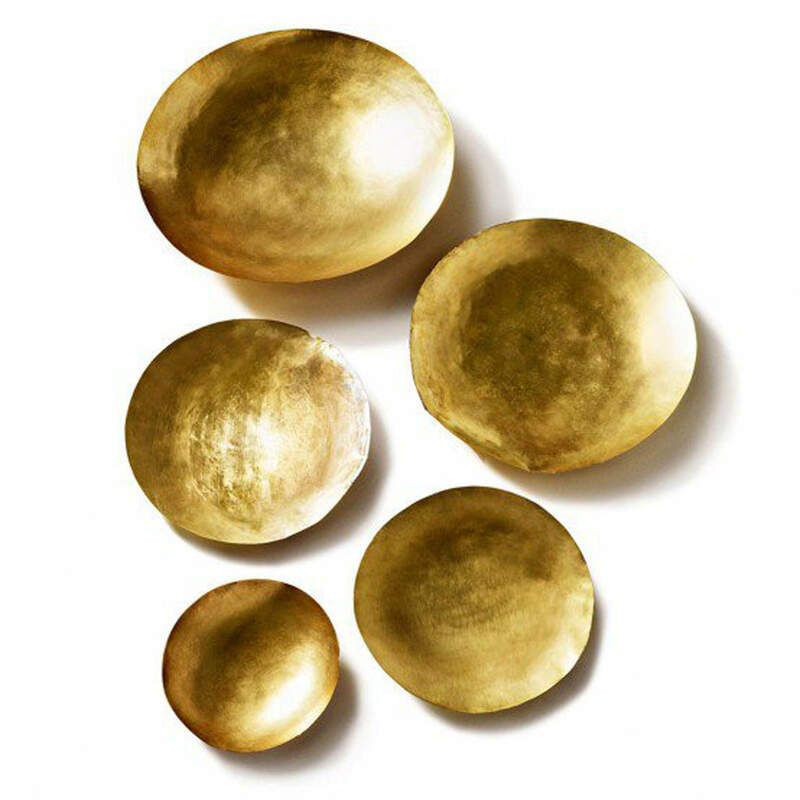 Tying in your placemats to the silver and gold tones beaded coasters from Marks and Spencer are the perfect addition to your table to create a soft, yet elegant feel. 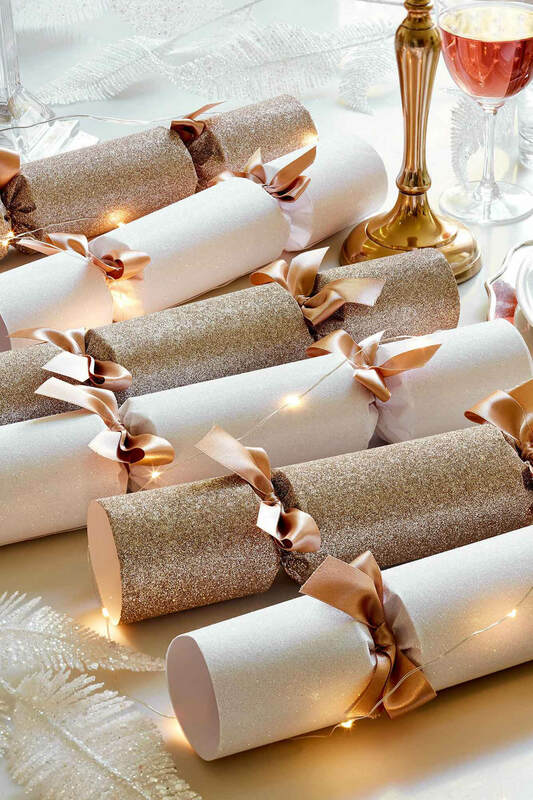 Modern glassware from Oka and clean white plates and gorgeous gold sequin crackers from Sophie Conran to add a sparkle. Catching glints of light, they really make the decor twinkle! To add an interesting twist, have fun with the design, we suggest using bright service bowls to add a splash of a colour, or a signature tone like these dazzling Tom Dixon bowls. Finally, we think it’s important for every table to have a personal touch; something that is ‘you’. Whether it is a splash of pink for the place cards or homemade gingerbread men at each place setting, it’s important to make sure it makes your guests smile. After all, that’s the key at Christmas…just have fun!